Once again beer enthusiasts from more than 180 countries have traveled to Munich to learn about the industry’s latest innovations and trends, and at the same time they are weighing their future investments, or even making them at the trade fair itself. 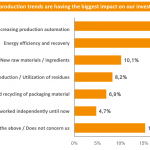 The latest drinktec survey pinpoints where these investments will be made in the next 12 months, explains how they compare with the ones from the previous year and outlines the factors influencing them. Before the trade fair started, more than 870 international visitors to drinktec 2013 and registered visitors to drinktec 2017 were surveyed about their investment plans. The poll came to one conclusion: Post-fair business appears to be quite promising. Nearly one half of exhibition visitors (48.8 percent) would like to boost investments at his or her company in the year to come. The largest share of these investments, 48.4 percent, is planned for machinery and equipment, i.e. production. 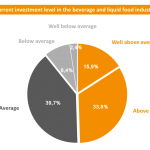 The beverage and liquid food industry can expect to see good market growth in the next year: In comparison with the previous trade fair, 45 percent of visitors plan to keep investments at a similar level. On the other hand, nearly half of respondents (48.8 percent) intend to increase investments by an average of 23.7 percent. And they plan to do so even though their companies are already making very high investments: Compared with previous years, 49.5 percent of respondents are already making above-average investments. In addition, 15.9 percent are even making significantly higher ones, while only 10.8 percent are making below average investments. The respondents said they plan to make most of their investments in machinery and equipment (48.4 percent), personnel (10.8 percent) and properties and buildings (10.6 percent). Companies are planning to make additional investments in other areas as well, such as 33.2 percent intending to increase investments in marketing, and one third of respondents planning to invest more in research & development (32.6 percent) and sales (31.9 percent). 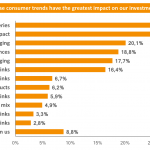 The survey also identified the consumer and production trends that investors are paying attention to most. Roughly one third (33.5 percent) said the trend toward craft beer and microbreweries was having the greatest impact on investments. Sustainability and environmental issues also play a major role (25 percent), while important consumer trends included individualization (20.1 percent) and the desire for natural ingredients (18.8 percent). In production, both automation (31.3 percent) and energy efficiency and recovery (23.5 percent) have a major sway on investors. The survey also asked about the biggest challenges facing the respondents’ business. Nearly half (43.7 percent) cited intensifying pressure on prices and competition, followed by the tapping of new markets (32.7 percent) and the shortage of skilled employees (27.9 percent). Expansion of the product portfolio, quality assurance and increased automation of production steps were also cited as fundamental issues. 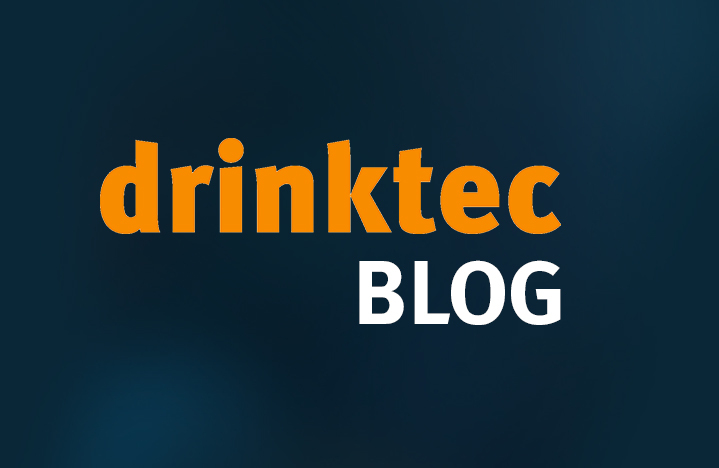 Companies want to see the innovations that drinktec has to offer before making any of their investments. 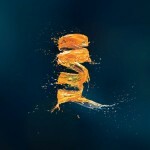 As a result, drinktec remains an important driver of innovation in the industry. From September 11 o 15, visitors can attend events like the drinktec Forum to learn about the top industry issues, as well as the newest ideas and practical solutions regarding technology, production processes and automation technology. In addition, the Innovation Guide in the drinktec app provides visitors with a detailed overview of exhibitors’ improvements.